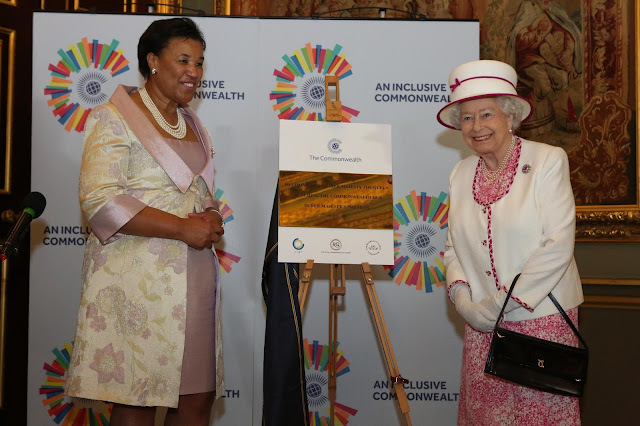 The Queen visited Marlborough House, London, to launch the Commonwealth Hub. For more: Zimbio gallery, Commonwealth Secretariat Flickr. This is the second pink outfit in a row proving that this pink sapphire brooch is the perfect match for a busy pink pattern. I wouldn't mind swapping this plump marshmallow of a hat for the last one, though.